Deep in the jungle, the cry of howler monkeys echoes through the ruins of a Mayan pyramid. Dazzling, multi-hued butterflies star the lush vegetation. Bright parrots and spider monkeys chatter in treetops as ecologist Lucero Vaca advances through the tropical forest below, scanning the ground for jaguar tracks. Farmers recently spotted a jaguar stalking their cattle from the outskirts of their village. Concerned, they reached out to Lucero for help—they had heard about her from neighboring communities. Could she teach them how to protect their livestock better? Lucero gladly took on the challenge. 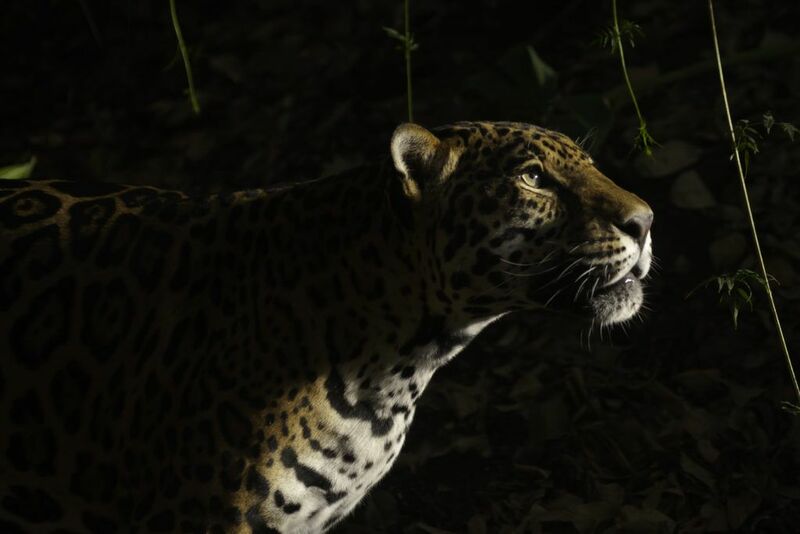 As the largest big cat in the Americas and a powerful apex predator, jaguars represent a huge threat to communities living in Calakmul, a UNESCO mixed world heritage site in southern Mexico. The loss of even a single cow or goat could affect their ability to provide for their families. In the past, when encountering such a threat, farmers killed the jaguars themselves. Today, however, thanks to Lucero’s conservation efforts throughout the reserve, people’s negative responses toward jaguars and other wild cats are slowly changing. Growing up in Mexico City, Lucero loved nature—especially wildlife—and dreamed of leading expeditions into the forest to save species. Her vision is now a reality. For the past six years, Lucero has been working to monitor jaguars and their prey, study local perceptions, and analyze the ecological and social drivers of the human-jaguar conflict in the south of Mexico. Working with government agencies, local and international NGOs, and rural communities, Lucero advocates peaceful coexistence between rural communities and jaguars. Calakmul, with its tropical forests and spectacular ancient Mayan city, is known for its rich biodiversity and Mayan culture. Home to many types of mammals, birds, reptiles, fish, and butterflies, it hosts one of the more robust jaguar populations left in the world. Jaguar populations are rapidly declining worldwide, with grave threats posed by international trade, loss/fragmentation of habitat, and frequent killing by ranchers and farmers to prevent livestock predation. While earning her undergraduate degree in Biology, Lucero saw the need for working with communities living within the forest, to help them share resources and peacefully coexist with wildlife. For her PhD, Lucero will work toward a deeper understanding of how jaguars behave, select resources, and hunt in Calakmul, in order to reach better solutions for the cattle predation issue and preserve jaguars more effectively. Lucero is one of 14 students awarded a WCN Scholarship in 2018 to pursue graduate studies in wildlife conservation. 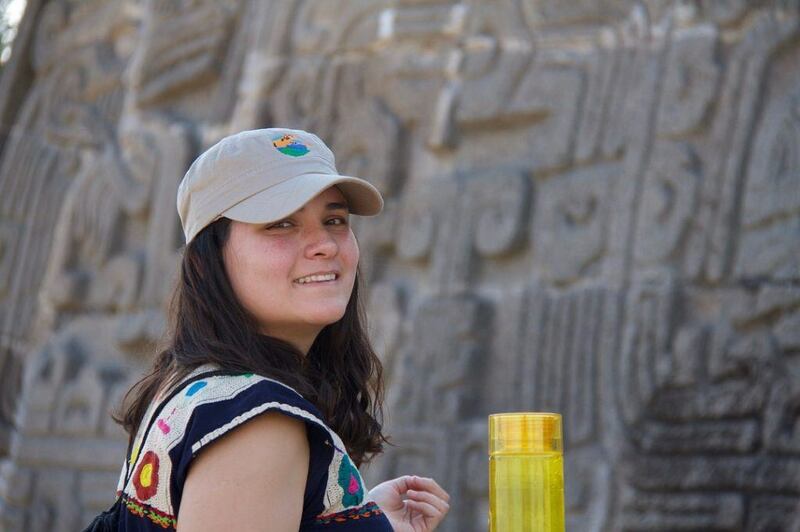 Upon completing her PhD, she plans to continue her project studying jaguars on the move and expand her conservation efforts to include other endangered species in Mexico. She also hopes to create a local NGO to secure sustainable sources of income in critical communities and create awareness through public engagement in conservation and science. Congratulations to Lucero and all of our 2018 WCN Scholarship recipients, as they work to make the world a better place for all.